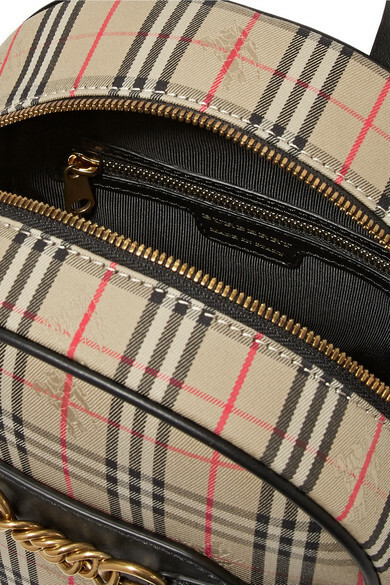 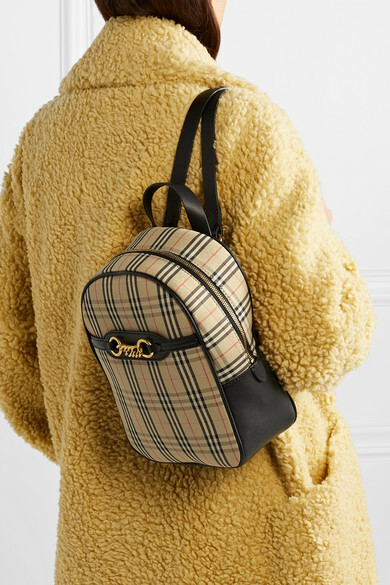 Burberry's backpack is printed with an archival version of the house's check motif that dates back to 1983 - it's subtly woven with the signature equestrian knight logo throughout. 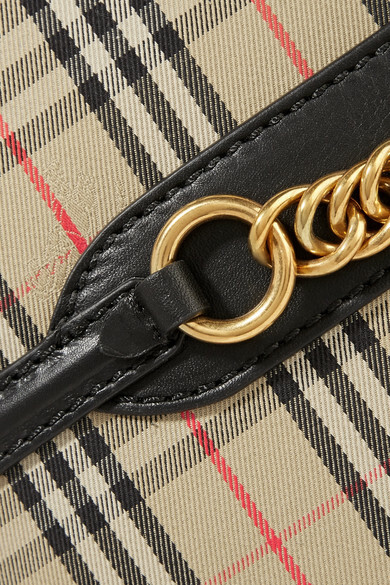 Made from durable cotton-drill, it's finished with black leather trims and a polished gold chain at the front. 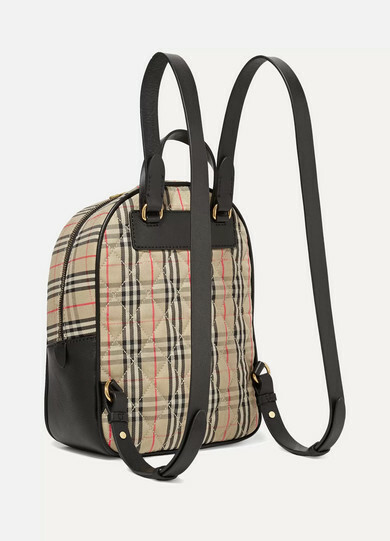 It's perfectly sized to stow your essentials plus a tablet or book, making it an ideal choice for travel or busy commutes. 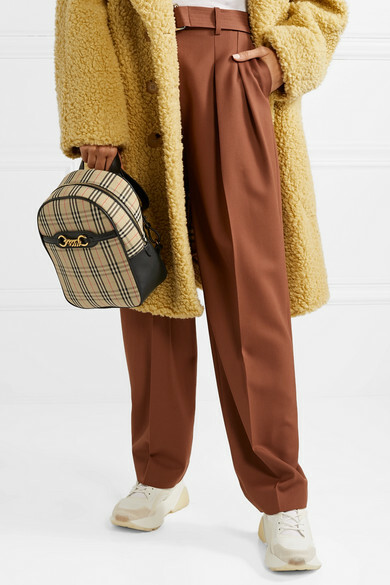 Shown here with: Victoria, Victoria Beckham Pants, Burberry Coat, Saint Laurent T-shirt, Stella McCartney Sneakers.